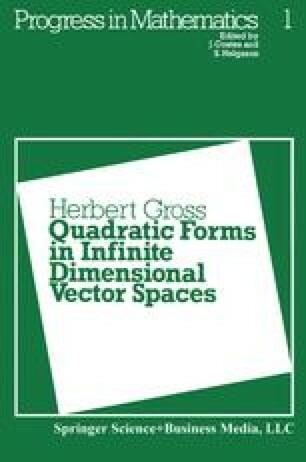 In this chapter we shall prove that א0-dimensional sesquilinear spaces are orthogonal sums of lines and planes and we characterize the cases where a decomposition into mutually orthogonal lines is impossible. The problem of “normalizing” bases brings us to stability and the beginner is confronted with the first Ping-Pong style proof with its characteristic back-and-forth argument (Theorem 2). These matters are basic and their knowledge is tacitly assumed in the rest of the book.